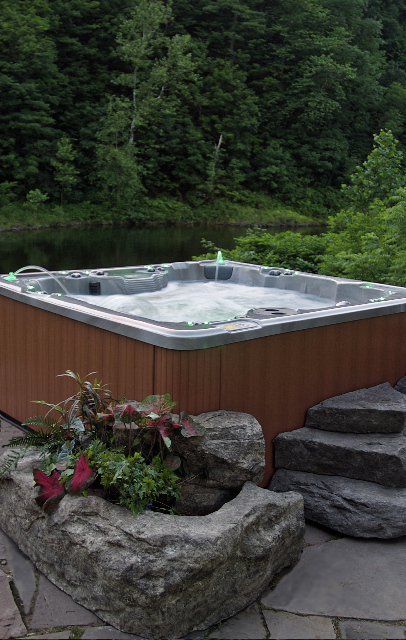 R7Dinc PDC Spa Accessories * The PDC Spas hot tub Diamond Package is the epitome of function and good looks. Surfaces are built from PermaStone, a neutral tone granite-like polished composite material which is resistant to climate and heavy use. This very attractive material is similar to Corian, known for its beauty and durability in kitchen surfaces, bar tops, benches, stool seats, and stair treads. 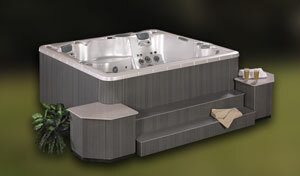 Add sophistication to your spa unit with this very vogue material. ** DIAMOND FIVE, Available in solid inland red cedar and all three PermaWood finishes. Includes front radius corner storage cabinets. Full length two-tier step without PermaStone treads. Not offered on Cabo LX, Antero SE, Vancouver SE, or Columbia SE. ** Retail $1,402.00 -R7Dinc wholesale discount as noted plus Tax & delivery.